This type Sc spiral galaxy is approx. 2.3 million light years away, and is a member of the "Local Group" of galaxies. 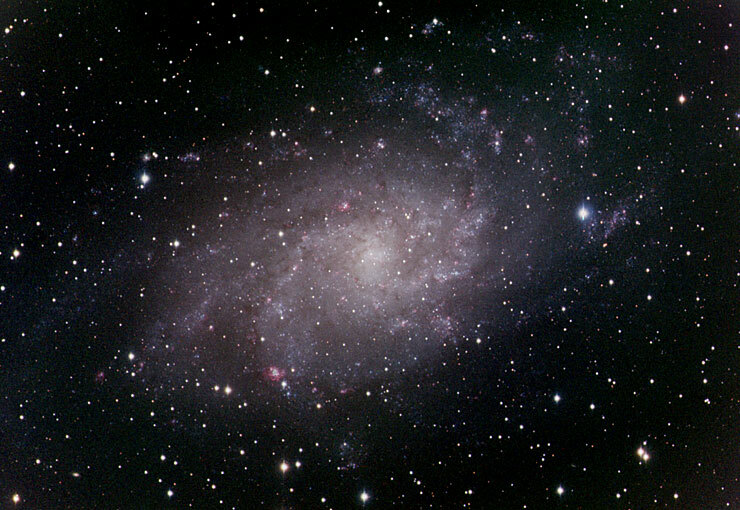 The total light of this galaxy is equal to a star of magnitude 5.3, but it is about 1 degree in diameter so it has a relatively low surface brightness. Processing Notes: MaxIm DL/CCD - Dark subtracted, median & color combined. Photoshop - Curves, color balance, mask created for color gradients created by moonlight and light pollution.